When we think about wellness, we think about ourselves, our own bodies, the exercise we do, our sleep and the food we eat. Yet rarely do we consider the environment in our home as contributing to our wellness. The concept of the wellness kitchen is revolutionary. It is more than a concept, it is a way of life, a way to reinvent the most important room in the home, the kitchen. Here we take a long, hard look at why we aren’t holding our kitchens to the same high values we have in our lives, and how by redesigning the kitchen we can make it an extension of ourselves and our principles. So what is meant by the term wellness kitchen? To answer that we need to look first at traditional kitchens. For as long as we can remember, the kitchen has stood as a place where food was cooked, not eaten. Housewives would prepare family meals and, as time progressed, the need to create quick, easy meals increased. Packaged, tinned and frozen foods became ever more popular, and the kitchen evolved to meet the needs of working parents. Microwaves were added, large pantries and cupboards to store dried foods became fashionable, and larger freezes made their way into the kitchen. Thankfully, the mid-to-late-20th-century style of eating has come to an end, and pre-prepared meals eaten in front of the television are being replaced with healthy, home-cooked family dinners. More and more people are eating locally-sourced, fruit- and vegetable-rich diets free from preservatives and chemicals. Yet our outdated kitchens are almost a hindrance to this new and healthy lifestyle. Consider for a moment space in a traditional kitchen allocated for fresh produce. For something which makes up a vast proportion of our diet, the kitchen doesn’t accommodate it. Instead, our kitchens are filled with dark cupboards and deep freezers. 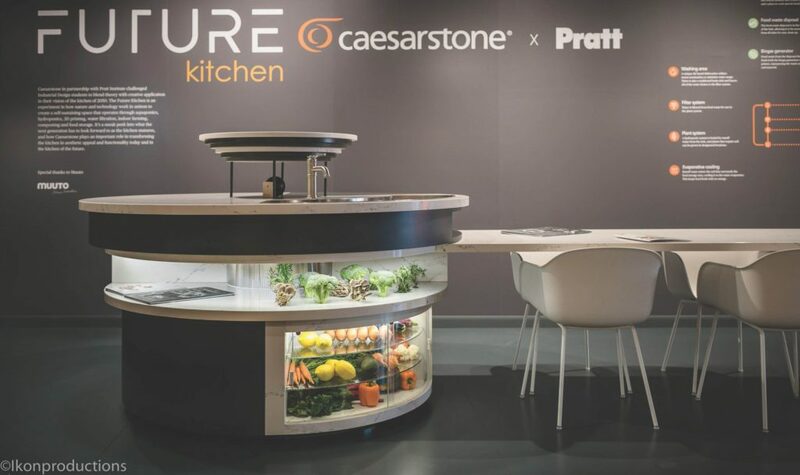 By revolutionising the kitchen through advancements in technology and design, this crucially important room can foster a healthier environment for our bodies, our minds, and our planets. The wellness kitchen is a reflection of the way we want to live our lives. Open-plan kitchens are now common, forming the nucleus of family life. Eating, cooking, socialising and entertaining together fosters healthy attitudes to food and community. Yet the wellness kitchen goes much further. Imagine replacing the room-temperature cupboards or freezers stocked with dead food with temperature and humidity-controlled, glass-fronted cupboards. Food is kept alive and fresh. Take it one step further and create a kitchen garden, creating a mini ecosystem of living produce. Ultimately the emphasis is always on keeping food alive or dormant, and on view. By being able to see our foods, we are drawn to healthier options. This also helps us to naturally regulate portions. With a global focus on the ocean plastic epidemic and our impact on the planet, recycling and reducing the size of the waste footprints we leave is an important lifestyle component that the wellness kitchen accommodates. Fresh food means less packaging, and so less waste and less need to recycle. Facilities for compost collection allow organic substances to go back into the soil. The design of wellness kitchens takes into account food storage, preparation, cooking, consumption, and disposal. The traditional kitchen, which evolved in the wake of World War II, is re-engineered to cater for fresh produce and living, organic ingredients. The wellness kitchen is a wonderfully apt fit for superyachts, where sourcing and storing fresh fruit and vegetables can be difficult due to the fact that they’re always on the move. As superyachts venture to ever more intrepid and far-flung destinations where port visits are difficult, acquiring healthy and nourishing ingredients is becoming even more of a challenge. Imagine a superyacht being able to grow its own produce. Fresh, healthy and free from preservatives, this is becoming possible through hydroponics, the science of growing plants without soil. 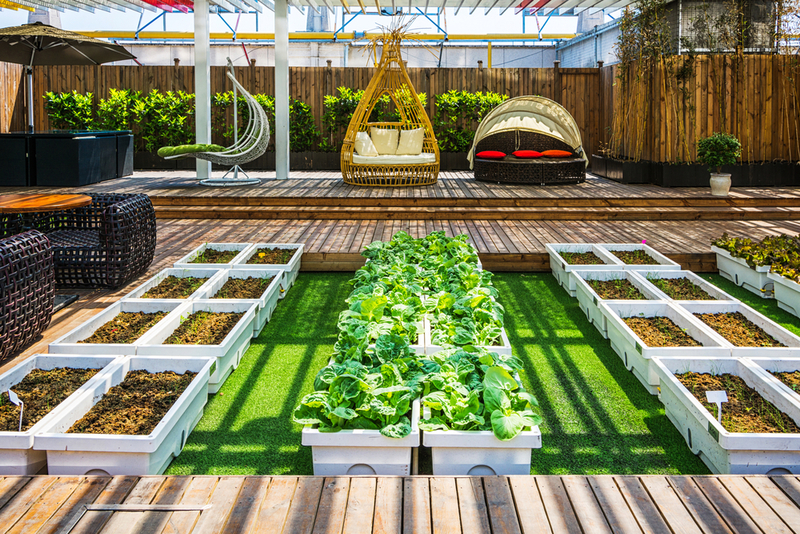 Kitchen gardens created within the galleys of superyachts could grow greenhouse crops through a process of feeding them on mineral nutrient salts dissolved in water. While hydroponics needs further research and design, the technology is moving in the right direction. Combine the benefits of a kitchen garden with reduced waste production and it adds even more appeal. With the movement to ban single-use plastic surging forward, this is a topic we know is important to our superyacht owners and guest divers.